The diverse portfolio of Soave Enterprises includes the Soave Automotive Group. 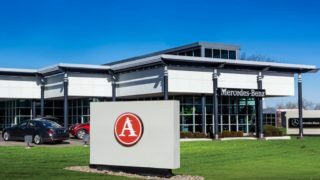 Located in the Greater Kansas City market, the Auto Group includes Aristocrat Motors, which was added in 1999, and offers Mercedes-Benz, Porsche, Land Rover, Jaguar, Maserati and Alfa Romeo. 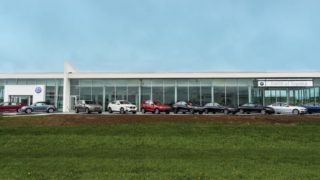 With the addition of a new, Porsche facility as well as a renovated and expanded Jaguar and Land Rover facility, Aristocrat Motors will continue to be the luxury automotive leader in the Kansas City market. 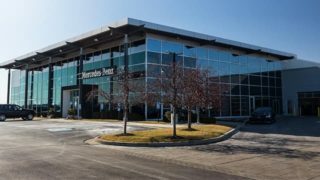 Mercedes-Benz of Kansas City is a dedicated Mercedes-Benz dealer, offering both automotive lines and commercial vans. The newest addition to the Auto Group is BMW and Volkswagen of Topeka, the luxury import dealer for East Central Kansas. It opened its new facilities in June of 2017.